Arsenal fans will be hoping to see their club spend money in the Summer transfer window so that they can make a challenge for the Premier League title next season. 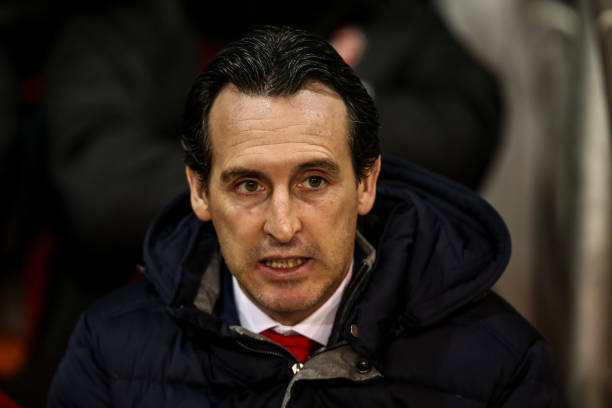 Arsenal boss Unai Emery will be happy to see the season end with his team in the Premier League top four and as UEFA Europa League Champions. The gunners boss will now be hoping to bring in new players in the Summer transfer window so that he can finally make a strong title challenge next season. Unai Emery might have received bad news as a report by the Daily Mail claims that the gunners will be with only £45million to spend in the Summer transfer window and this is a very small amount compared to the big budgets which other top six clubs will probably get at the end of this season. The gunners made five signings in the Summer transfer window which cost a total amount of about £70million but these new faces have not been able to help the gunners come back to the Premier League top four yet. Arsenal fans thought that the gunners would be able to sign some players in the January transfer window but Unai Emery boldly confirmed that the club was only able to sign players on loan deals, they brought in Denis Suarez at those conditions as the coach had said. It’s going to be interesting to see how the gunners will be able to improve its squad in the Summer transfer window if reports of having only £45million to spend in the next transfer window are true, and one more disadvantage is that Arsenal will let many players leave for free because it’s not going to renew their contracts, some of these include; Danny Welbeck, Aaron Ramsey, Petr Cech and Carl Jenkinson.